Battle for Azeroth Live Today! Thread: Battle for Azeroth Live Today! Battle for Azeroth goes live globally today, releasing at the same time for everyone! The level cap has been raised to 120! Dive into your faction's War Campaign quest as you level in order to unlock world quests and Allied Races at max level. 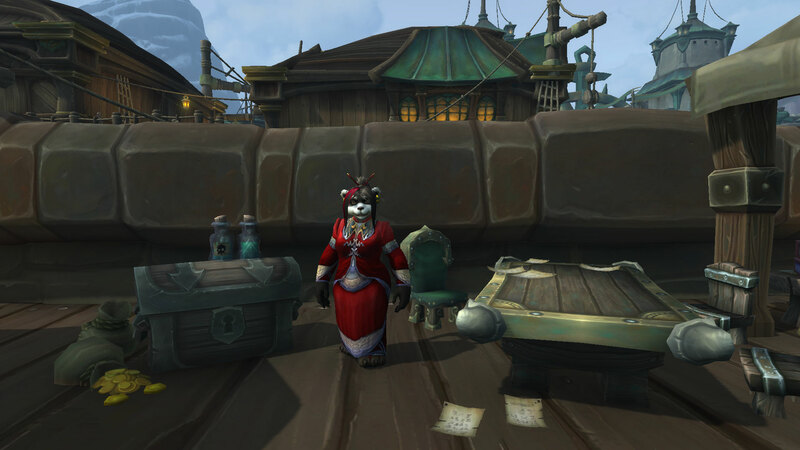 Patch 8.0.1 Recap - The prepatch introduced a lot of new things to go with the expansion. Class Guides - Learn more about your class abilities going into the expansion. Kul Tiras and Zandalar - Learn about the two new continents this expansion. Heart of Azeroth and Azerite Armor Guide - Learn more about the new mechanics involved with the Heart of Azeroth and Azerite Armor systems. Island Expeditions - Learn more about the new Island Expedition scenarios. Warfronts - Learn more about the new Warfronts feature. Battle for Azeroth Dungeons - Preview our dungeon guides for Battle for Azeroth! Mythic Plus Changes - Several changes have been made to Mythic Plus dungeons. Allied Races - See the new Allied Races you can unlock in Battle for Azeroth! PvP Changes - Learn about War Mode and other new PvP features in BfA. World Boss Guides - Learn about the new world bosses in BfA. Reputation Guides - Learn how to reach exalted as quickly as possible with all of the new reputations in BfA! World Quests - There have been a few changes for World Quests in BfA. Profession Guides - Learn a little bit about what is new for your professions in BfA. New Black Market Auction House Locations - The Black Market vendors are moving to the new continents. Mounts - BfA adds a bunch of new mounts to obtain. What is Not Coming This Week? Blizzard has broken down the release of certain content post expansion launch! If you are a player who is interested mostly in max level content, there are ways of speeding up your leveling process. Before the new expansion is released, there are a few items that you should stock up on. Defiled Augment Runes, or a Lightforged Augment Rune if you have the required reputation for it. These are a small stat increase, but as long as you always keep one active, they will help out a little. Goblin Glider Kit: unless you’re a Demon Hunter, you should probably have a few of these to help you easily get to places from mountains. During your leveling process, legendaries will be available up to level 116, after which they just become items with high ilvl. Depending on the class and specialization you play, you will want to have at least two gear sets saved, but there may be more. Combat Gear Set: this is what you will wear for most of your leveling process. Keep in mind that items such as Sephuz's Secret can be procced on cooldown while leveling, as long as you have an ability to do so. Speed Set: moving around faster saves a lot of time when leveling. Optional Defensive and AoE Set: if you feel like you might be a little undergeared, a defensive set to help you kill named enemies might be necessary. You can also make a gear set with AoE legendaries if want to group up more mobs. Level 116 and Above: because legendaries lose their special effect, at this point you will want to equip two legendaries with the most stats on them. Hold on to any high ilvl relics you might have, even if they have bad traits on them. The artifact traits and relics become inactive while leveling, so having your weapon be at its highest possible ilvl will be the only thing that matters. Unless you’re uncomfortable with PvP, you should definitely enable War Mode for the 10% experience bonus, and the access to 3 new talents. PvP talents can offer very nice offensive, as well as defensive options when leveling, which on certain classes will speed up this process significantly. There are a few Add-Ons which can help you out during leveling, especially when it comes to pathing, and efficiency. Azeroth Auto Pilot (from the creator of ConsLegion) will guide you through a predetermined questing path, and give you specific directions on exactly what you should be doing. It also has a few other features, such as automatically accepting and turning in quests, which saves time. If you want to follow your own questing path, you should use Auto Quest Turn In. Here are some suggestions to make the process as efficient as possible. The first expansion quest kicks off in Silithus, so you can wait at Magni for release. He will give you the Heart of Azeroth and your first Azerite Armor Piece. Save your foothold War Campaign quests for after you complete a zone. Doing all 3 gives about one level. After your first zone is complete return to your capital hub to start the quest. Instead of vendoring quest rewards, take them to the scrapper after each zone. This will reward you with reagents and Expulsom (the new Blood of Sargeras). At 120 you will mainly gear up by queuing for normal dungeons (item level 310 gear) until you have a item level 305 and can gear for heroic dungeons (item level 325 gear). You need to have all reputations to friendly to unlock Battle for Azeroth world quests. Finish up any lingering quests until you make this requirement. Prioritize the Champions of Azeroth reputation as each rank gives you +15 item level to your Heart of Azeroth, as well as a 355 item level Azerite Armor piece at exalted. Purchase a Contract: Champions of Azeroth as soon as possible! You will want to work on getting 7th Legion / Honorbound reputations to revered for the War Campaign Completion and to unlock the Allied Races. If you are just coming back, be sure to take a look at the Patch 8.0.1 recap for all of the system changes made to the game. Icy Veins is ready to go with updated class guides! Battle for Azeroth introduces two new continents with 3 zones each to explore! Each faction levels in their respective zone and utilizes both continents for max level. Click the maps below for in depth previews! Battle for Azeroth has a new system of gear progression that involves the new Artifact necklace you receive right away, Heart of Azeroth, and Azerite Armor slots. Click below for a complete guide on how this new system works. Warfronts are 20 man PvE large scale battles in which a team fights for control of a strategic point against the opposite faction AI. Stromgarde in Arathi Highlands is the first Warfront. The faction who doesn't control Arathi Highlands contributes resources to open up the ability to get it back. Gear is a reward for completing a Warfront. Arathi Highlands has received some major upgrades for level 120 characters who unlock Warfronts during the war campaign. Each faction has 4 leveling dungeons. All dungeons open up to both factions at level cap. 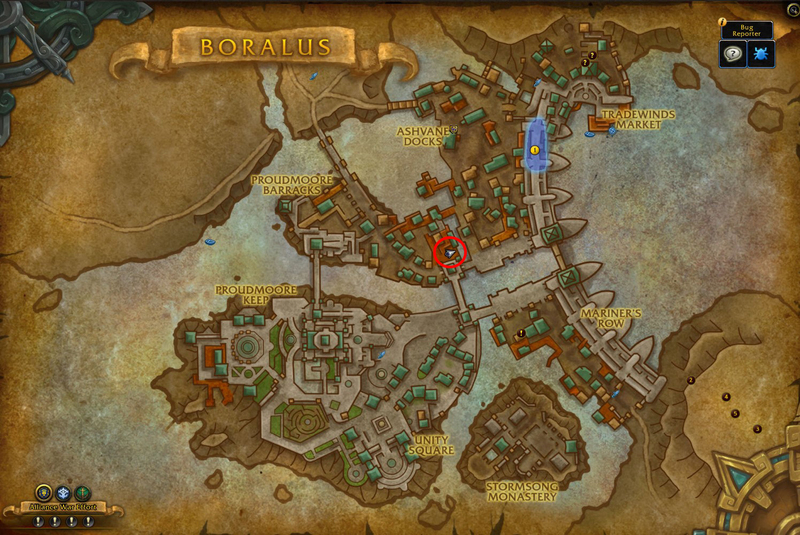 Keep in mind that Kings' Rest and Siege of Boralus will only be available as Mythic dungeons, unlocked as you work through your war campaign. Blizzard has continued to build upon the Mythic Plus system for Battle for Azeroth, adding in some changes! You can no longer swap gear while in a Mythic Plus dungeon. Mythic Plus will now have seasons much like PvP. This includes seasonal achievements such as Battle for Azeroth Keystone Conqueror: Season One and Battle for Azeroth Keystone Master: Season One. These seasons will also feature seasonal affixes. Season One will have Infested. Tyrannical and Fortified are now Keystone Level 2 affixes, meaning every Mythic Plus dungeon will contain one or the other. Your weekly Mythic + chest can now contain up to 3 pieces of gear. Dark Iron Dwarves are available to unlock for Alliance at launch. Mag'har Orcs are available to unlock for Horde at launch. Kul Tiran Humans will be available for the Alliance to unlock at a later date. Zandalari Trolls will be available for the Horde to unlock at a later date. Several new additions to PvP are now live! Doing PvP activities rewards you with Conquest Points again! You will receive a piece of gear when you reach the cap for the week. War Mode Bounties introduced in the pre-expansion patch continue in the new continents. War Mode Air Drops introduced in the pre-expansion continue in the new continents. The Dueler's Guild is a new location in the faction hubs that lets you queue up to fight other players one on one in a style similar to Brawler's Guild. Battle for Azeroth has 3 new world bosses on each continent and 2 faction specific ones in Arathi Highlands for a total of 8 new bosses. Each one has a world quest associated with them and operate much like in Legion. The faction who controls Arathi Highlands has access to their boss during that time. Battle for Azeroth will feature a variety of new reputations to grind to exalted. Click below to learn more about each of them and what they have to offer. Especially important is the Champions of Azeroth faction, as they provide a boost to your Heart of Azeroth as you earn more reputation. As you progress through your War campaign you will set up foothold bases in each zone of the enemy continent. Initially, these are your only base of operations and flight paths in the continent, but gaining reputation with the 7th Legion/Honorbound will allow you to purchase Scouting Reports in order to unlock more flight path camps throughout the continent. Upon purchasing one of these reports you must complete a mission at the mission table to receive the quest to head to the location on the map and unlock the flight path. Battle for Azeroth has continued the world quest system and there is a multitude of new quests and emissaries. To unlock world quests you must reach Level 120 and complete the quest Uniting Kul Tiras (A) or Uniting Zandalar (H). This means that you must also have completed the War Campaign quests up this point, which involves doing all three war campaign foothold quests in the zones on the opposite continent. Emissaries can reward Azerite Armor Caches. Each faction will have World Quests on both continents at max level. World Quests are a good source of Azerite. World Quests can also give bonus reputation as a reward. As with any expansion, Battle for Azeroth offers a variety of new recipes and items to craft or gather. Click below to find out just what is being added for each profession! Kul Tiran and Zandalari Professions are now available to learn and level! Each profession is separated into expansions and leveled separately from one another. 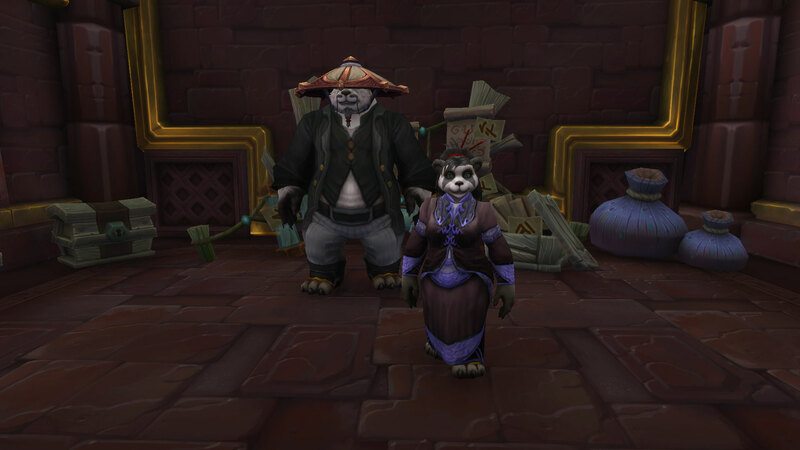 Each expansion has its own leveling path for items from that expansion, similar to the Mists of Pandaria cooking. First Aid is gone and its patterns are redistributed into Tailoring and Alchemy. Your First Aid crafts will have to be relearned in their respective new profession. Alliance - You can find Madam Gosu in Boralus at Hook Point. Horde - You will find Madam Goya just outside the dock area of the Horde capitol of Dazar'alor in a small Tortollan hub in Zuldazar. Players are able to start earning the requirements for the first part of the flying achievement in Battle for Azeroth. Earning the Battle for Azeroth Pathfinder, Part One achievement will increase your mount speed in all Battle for Azeroth zones. Here is a list of the requirements. Note that you do not need to complete both the Horde and Alliance questing zones to complete the achievement, but one or the other along with the War Campaign. Battle for Azeroth Explorer - For this achievement you must fully uncover the map for all Battle for Azeroth zones on both continents. Kul Tourist or Zandalar Forever! - For this achievement you must complete the main story quest chains in either all Kul Tiras zones or Zandalar zones. Ready for War or Ready for War - This achievement requires completing either the Alliance or the Horde War Campaign quest chain. Wide World of Quests - Complete 100 different world quests in Battle for Azeroth zones. Azerothian Diplomat - Earn revered status with all Alliance/Neutral or Horde/Neutral reputations in Battle for Azeroth. There are a lot of new mounts to collect in Battle for Azeroth! Battle for Azeroth has a multitude of new icons! There is a large amount of new music in Battle for Azeroth! Quickly populating the database with new additions is done with the help of many players. The more people that contribute data, the more accurate and quickly we can update the database. To help out, just click here if you have the Twitch Desktop App already installed. When you are playing the addon will gather data and save it. When you are done playing, Twitch will see the game close and upload the collected data from the addon. Last edited by chaud; 2018-08-13 at 03:42 PM. Isn't 375 food squished down after 8.0? So basically plant your 110s at Magni? Is that any 110s or only ones which have completed the Battle of Lordaeron scenario? The link to the Voldunai rep page is broken. - No new race, just a load of unlockable "Sub" races with models already included as player races. - No new class. That just speaks volumes. - Great soap opera but I used to buy WoW MMO expansion's to play the actual game, not pay for a soap opera. - No more PVP servers. Haha thanks Blizz. But I liked PVP servers, I like the thrill of surviving and risk getting ganked by default without having to choose war mode or not, even that basic thrill is now gone. - No Darnassus or Undercity unless you can get in through the magic portal which you didn't previously have to. You get less, not more, with this expansion. - Sylvanas & The Horde character trashing. Huh? How are Horde players expected to pay a sub so they can be vilified? Does Blizzard really think players will pay to be character assassinated? We will see. Will BFA be a bellyflop expansion? I'm not liking the odds this time. Even WoD had some kind of unique selling point feature, despite that being the garrison, it was something. Last edited by mmocb54112e783; 2018-08-13 at 06:23 PM. - Great soap opera but I used to buy WoW MMO expansion's to play the actual game, not pay for a soap opera and to 'follow' a soap opera's story development. - No more PVP servers. Haha thanks Blizz. But I liked PVP servers, I like the thrill of surviving and risk getting ganked, now gone. I cannot wait 2 years down the road for the next expansion and see where you backflip to to reach the same disappointment you've had since WoD. I am unable to defend BFA namely cause I haven't experienced it, but the odds of reading your posts are glowing, so at least I got that. I got some Zandalari ahead of me, so far I look forward to it. 1. Heavily requested feature from what I saw on the forums. A good chunk of the playerbase wanted sub races or separate customisation options for races. This meets that request. 2. Cata, BC and WoD. Not every expansion needs one. We literally just had a new class with Legion too. Or are you going to pull the "my opinion of those expansions" card to claim it objectively speaks volumes? 3. Nobody is making you pay attention to the story whatsoever. I mean if you want to unlock flying sure but even then you don't exactly have to pay attention. 4. Yeah and people didn't like tryhard 110s coming to gank them in Hellfire because they couldn't gank people their own level and turned tail and ran like a coward when a 110 showed up. This fixes the problem. And let's face it "World PvP" hasn't been an actual thing for years. Also the thrill is still there. Turn it on. 5. Now you are just complaining for the sake of it. This was known for a long time. In short your opinion while entitled to it is all over the place. Has nothing to do with "liking the odds". 3 of your points are complaining for the sake of it and 2 are attempting to speak for players. Last edited by Eleccybubb; 2018-08-13 at 06:36 PM. 2. Cata, BC and WoD. Not every expansion needs one. We literally just had a new class with Legion too. 4. Yeah and people didn't like tryhard 110s coming to gank them in Hellfire because they couldn't gank people their own level. This fixes the problem. And let's face it "World PvP" hasn't been an actual thing for years. Also the thrill is still there. Turn it on. 1. Lots of requests are made on the forums. But not for the races offered. High Elves were requested, we got junkie void snorters instead. And moose headed Tauren instead of Taunka? No these B4A "sub" races were not asked for. 2. A new class would not have hurt and would have made up for the "sub" races instead of no new original race in BFA. 3. The story is all that's offered forcing players to pay attention to it to get value for their money. That wasn't always so and if I want to watch a soap opera I will switch on the TV for free. 4. Some players liked the PVP ganking or not enough to pay a sub for it and PVP servers were(!) where the highest paying populations were at, now I would not be surprised if there are unsubs because the war mode change was forced upon us without consent and the PVP servers are missed enough to cause mass unsubs. 5. I'm not complaining for the sake of it. Like you say it was known for a long time, I have been complaining about it for a long time. And will continue to complain for a long time to come. 6. No one knows since Blizz were cowards and stopped publishing subscription stats in their quarterly earning reports. It's not an entitled opinion, it's a complaint. Enough for me to conclude that BFA is not an expansion. BFA... It's a mere update. And a disagreeable update enough for me to have irreconciblie differences with Blizz indefinitely. They have ruined a game, quite deliberately from my perspective, that I like very much. What a shame. Last edited by mmocb54112e783; 2018-08-13 at 06:41 PM. 1. Well yes they were if you actually browse. Nightborne was one that was requested. 2. And yet again why do you think we need one every expansion? Because you clearly do. 3. Well no it's not but feel free to think that. 4. Key word some. Blizzard clearly felt from feedback that it was a majority who hated it. 5. Yes you really are. 6. "Cowards". Lol you were never owed that information so stop acting like you were. Talk about reaching for straws. Feel free to push it as a complaint. But most of your "complaints" are for the sake of it and a couple attempt to speak for people. I mean I'm not saying you can't think about what you want about the game. But your opinion piece comes off as messy from my perspective. You not only attempt to speak for a crowd of players you have no idea about you also imply that Blizzard owed you those sub numbers. 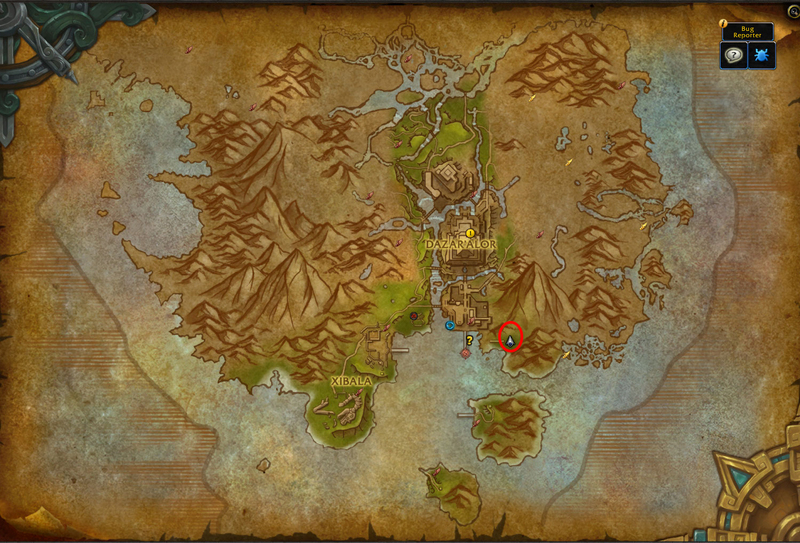 Any idea where Magni is in Silithus if you didn't do the artifact depletion chain? Feel free to push it as a complaint. But most of your "complaints" are for the sake of it and a couple attempt to speak for people. 1. I do browse the forums. There's a lot more upset players there about the sub races, more upset than I will ever be. 2. I said it would not have hurt. I stick by that. 3. It really is all that's offered. 4. I hope the feedback of lost subs speaks louder. 5. No I'm really not, but I'm not going to repeat myself forever, this will be my final post on the matter. For now. 6. They got scared. Blizzard will always be seen as cowards after offering the sub stats then removing them no matter how the spin doctoring tries to protect them. Thanks!! I flew over there from Uldum, but must've been too high to see him. Found him now. Ah yes, he who frantically grasps at straws in order to anger himself enough so he could rage about something, anything, due to a lack thereof in his life. An empty husk. A shallow mind. A concave skull. For when there is nothing left to cry about, he would eventually stop thinking. He would become rendered inanimate. On a side note: I've now prepared to grind for 24 hours with a friend. Not even my idea and I'm still hyped for it. Man you are lucky. I'm an insomniac so a nap is like the dream for me. Luckily I managed to have a good amount of sleep for once last night. Yeah attack me personally instead of the points made. I will consider that a hit nerve.